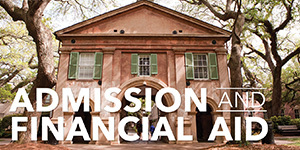 Student success is an integral part of the mission of College of Charleston. The emphasis on student success is consistent with the statutory mandates and directives of the South Carolina Department of Administration and the South Carolina Commission on Higher Education. The institution evaluates sucess with respect to student achievement consistent with its mission. Institutional Goal: For students enrolling as degree-seeking undergraduates, the College’s four-year graduation rate will exceed 50% and the College’s six-year graduation rate will exceed 60%. Student Achievement: The College’s four-year graduation rate (see Table 1) for the past nine years has ranged from 51.9% to 61.6%, while the six-year graduation rate has ranged from 64.5% to 71.4%. 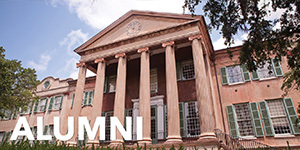 As compared to peer institutions in South Carolina, based on the 2011 entering freshmen cohort, the six-year graduation rate of the College of Charleston (see Figure 1) was 69%, the fourth highest among South Carolina public universities and 4% lower than the Citadel (73%), 6% lower than University of South Carolina-Columbia (75%) and 13 percent lower than Clemson University (82%). Note: The six-year graduation rates of the entering cohort term Fall 2013 and Fall 2014 are not available yet and will be updated once they are available. Fall 2006 was the Academic Year 2005-2006. Note: 2011 represents Academic Year 2010-2011. Institutional Goal: The College’s institutional goal is that at least 75% of new graduates of baccalaureate programs will be employed one year after graduation. Student Achievement: Figure 2 presents data from the College’s Senior Exit Survey, a survey assessing senior students’ career outcomes and academic experiences administered during the graduation rehearsal. Figure 3 provides data from the annual Post-Graduation Survey, a one-year post graduation survey administered through Qualtrics. The data from these two surveys indicate that the employment rate of graduating seniors ranged from 21% to 52%, but the employment rate of graduates one year after graduation has increased from 68% to 73%, which is approaching the institutional goal of 75%. Note: Employment category includes full-time, part-time, self-employed, multiple jobs and military service. 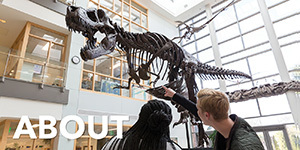 Institutional Goal: The College’s institutional Goal is that at least 20% of new undergraduate degree recipients will be enrolled in a graduate, professional, or other educational program one year after graduation. Student Achievement: As shown in Figure 4, the percentage of graduating seniors who pursued a graduate, professional and other educational program for the past five academic years ranged from 12% in 2013-2014 to 23.04% in 2017-2018. Further, the percentage of new undergraduate degree recipients who enrolled in a graduate, professional, or other educational program one year after graduation (Figure 5) for the past five academic years ranged from 20% in 2017-2018 to 38% in 2013-2014. Table 2 presents the additional data from the Survey of Earned Doctorates (SED), which indicates that 38 Bachelor’s recipients who graduated from the College of Charleston received doctorate degrees in 2017. Note: 2009 represents Academic Year 2008-2009. Institutional Goal: When available, employer feedback will indicate a favorable assessment of the performance and/or preparation of College of Charleston students. Student Achievement: Overwhelmingly, as shown in Table 3, employers favorably rated the College’s graduates on a series of skills and abilities. 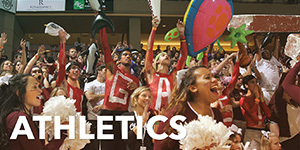 Specifically, 70% of employers surveyed in the Alumni Employer Survey 2015 rated graduates from the College of Charleston as either “Good” or “Excellent” in terms of the ability to work independently; 69% of employer surveyed rated “Good” or “Excellent” in terms of graduates’ professionalism and 68% of employers surveyed made the same ratings in graduates’ ability to work in teams. Note: the most recent employer survey was conducted in 2015. This table will be updated once the newest data are available. Institutional Goal: Advanced students or recent graduates who complete post-undergraduate examinations will earn scores consistent with or better than those earned by relevant peer groups, when peer data are available, or will show evidence of significant improvement or achievement relative to an appropriate baseline (e.g., at least 10% improvement in achievement between the freshman and senior years). Student Achievement: As shown below in Table 4, the ETS results showed the College of Charleston seniors scored more than 10% than the Carnegie class in 2012, 2015 and 2018 in Reading level 1 (11% more than the Carnegie class in 2018, 13% in 2015 and 16 in 2012), Reading level 2 (11% more than Carnegie class in 2018 and 17% more in 2015 and 27% more in 2012), Writing level 1 (15% more than Carnegie class, 15 more in 2015 and 14% more in 2012, Writing level 2 ( 15% more than Carnegie class in 2018, 13% more in 2015 and 12% more in 2012), Mathematics level 1 ( 16% more than Carnegie class in 2018, 18% more in 2015 and 25% more in 2012) and Mathematics level 2 (19% more than Carnegie class in 2018, 19% more in 2015 and 21% in 2012). As shown in Table 5, the SC Praxis Traditional Assessment pass rates of students at the College of Charleston ranged from 94% to 99%, 1% higher (2013-2014) or 3% lower(2016-2017) than the statewide average pass rates. Note: 2012 represents Academic Year 2011-2012. Note: SC Praxis Traditional Assessment pass rate of 2017-2018 is not available yet. 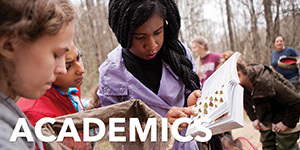 Institutional Goal: For students who entered the College of Charleston as freshmen, the College’s mean number of credit hours earned for a Bachelor of Science (B.S.) or Bachelor of Arts (B.A.) 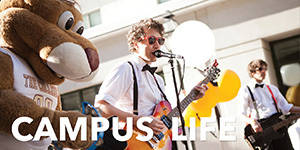 degree will not exceed 134 hours (i.e., 10% over and above the minimum 122 credit hours required to earn the degree). Students earning double majors, second majors, or second degrees (including the A.B.) are excluded from measurements relevant to this goal. Student Achievement: as shown in Table 6, for the past 12 academic years, the average credits hours of bachelor’s recipients with a BA degree from the College of Charleston was 128.4, which was 5.6 credit hours lower than the cutoff credits of 134 hours. Similarly, the average credits hours of bachelor’s recipients with a BS degree from the College of Charleston was 132.5, which was 1.5 credit hours lower than the cutoff credits of 134 hours. It’s thereby concluded that institutional goal 6 related to credit hours earned of graduates has been met. Note: 2007 represents Academic Year 2006-2007. Institutional Goal: For students enrolling as degree-seeking undergraduates, the College’s first-to-second year retention of first-time, full-time freshmen will consistently exceed 80%. Student Achievement: As Figure 6 indicates, the College’s one-year retention rate of full-time freshmen was consistently above 80% from 202 to 2013 and decreased slightly below 80% in 2014 and 2018, ranging from 78.1% in 2017 to 79.4 in 2015 and 2016. Furthermore, The College’s retention consistently exceeds the mean for all Public Master’s I institutions. Specifically, the corresponding differences between the College of Charleston and all Public Master’s Institutions in the one-year retention rate are 5.4% in 2012, 6.4% in 2013, 2.5% in 2014, 2.5% in 2015, 2.5% in 2016 and 1% in 2017, respectively. Given the data collected, institutional goal 7 is generally met. Note: CSRDE one-year retention rate in 2018 will be updated once available.2012 was Academic Year 2011-2012. Institutional Goal: Between 2010-2020, the College of Charleston will increase the total number of undergraduate and graduate degrees awarded by 5%. Student Achievement: The total number of undergraduate degrees (Figure 7) awarded in 2018 was 2,380, which was equal to the total in 2010(n=2,380). As for graduate degrees awarded by the College of Charleston(Figure 8), the total number of graduate degrees in 2018 was 246 that was the same as the total in 2010 (n=246). Note: in Figure 7 and Figure 8 below, 2008 represented Academic Year 2007-2008. Institutional Goal: The College’s institutional goal for time to undergraduate degree completion will be a mean of 4.2 years and a median of 4.0 years, for all students who enter the College as freshmen. Student Achievement: The average time to undergraduate degree completion at the College of Charleston since 2010-2011 for all students who entered the College as freshmen ranged from 4.17 to 4.23 with a median of 4 years, as shown in Table 7. Therefore, this institutional goal has been met. Institutional Goal: The College of Charleston should have DFW (drop-fail-withdrawal) rates at or below 15% for undergraduate course enrollments in an academic year. Student Achievement: For the past five academic years from 2013 to 2018, as shown in Figure 9, the DFW rate has been kept below 15%. Specifically, the DFW rate ranged from 12.3% in 2013-2014 to 13.1% in 2017 and 2018. Thus, the data show that the goal that the College of Charleston should have DFW (drop-fail-withdrawal) rates at or below 15% for undergraduate course enrollments in an academic year has been met.